The past 10 days have been incredibly busy, and filled with mixed emotions. We spent 5 days in Cape Town, seeing family and I had two talks at Quentin’s at Oakhurst in Hout Bay. Visiting the Mother City at present reminds one unequivocally of the importance of water. There is talk of little else, queues to collect water at water points are almost unbelievable and one considers use of this precious resource all the time. Not a bad exercise for any of us, living in a dry land that experiences periods of wetness. Too many believe we live in a wet land which experiences periods of dryness? Time will tell how this water saga is going to continue affecting so many. Perhaps Cape Town in present circumstances was NOT the ideal place to read The President’s Keepers by Jacques Paauw. I could hardly put it down, and strongly urge all South Africans to read this extraordinary expose’. It leaves one stunned at the activities of Zuma over the past 9 years, and in these heady days, considering the legacy he leaves? Thankfully my talks at Quentin’s were sold-out, and went very well indeed. Always such a privilege to address an enthusiastic, engaged audience. I was only home for a day before flying to Port Elizabeth, to drive to Grahamstown for a talk at St Andrew’s College, arranged by Gary Frayne. 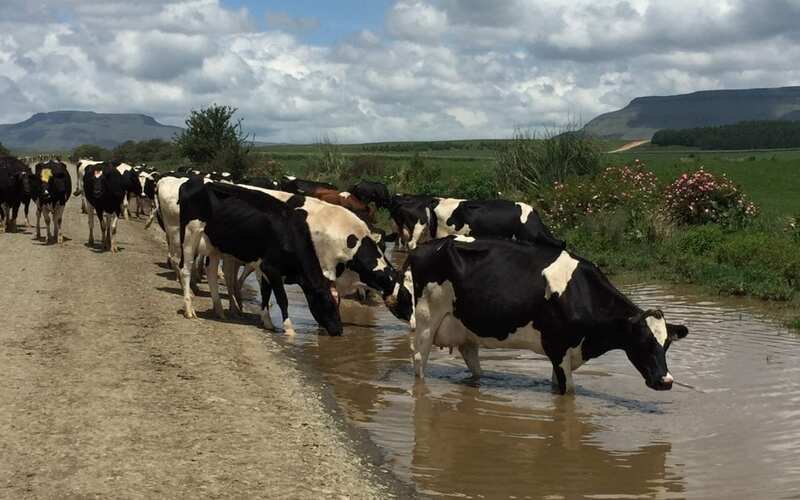 Whilst all attention goes to Cape Town in terms of her water crisis, the Eastern Cape is in similar crisis, seemingly ignored by much of the country, and the government. Grahamstown, Bisho, Port Elizabeth, Kouga, the list goes on; all desperately short of water. There is much talk in our schools about leaving a legacy and I often wonder what that really means. In truth, when a grade leaves, we who stay behind (the staff and lower grades) don’t recall the legacy of an entire grade. We remember individuals. And it’s in how we remember them that a legacy – or not – is left. But that is not his legacy for me. Rob and I both grew up in the Midlands of kwaZulu Natal. He was two years ahead of me at the local high school. I could tell you he was headboy and that he played rugby really well. Or that he was a provincial athlete – shot put I think it was. But that’s still not his legacy for me. You see, all those years ago, when I was a terrified grade 8, Rob was a senior of extraordinary compassion. He didn’t look through us, he saw us.,. he knew our names… and he was kind to us. He has a quick smile, a ready laugh; a wicked sense of humour and a genuine interest in everyone he met, regardless of age or status. And that is how those of us who went to Howick High remember him: a thoroughly decent human being and a really good guy. And that is a legacy worth leaving. I believe it’s those traits we saw in him all those many years ago – of sincerity, compassion and kindness; of absolute humility – make him the speaker he is today, enriching his stories with an intuition and realness that cannot be taught. Rob, it’s always good to see someone from home and I am proud to introduce you today. Dionne has a background in Drama, and teaches English, but this introduction blew the lights out, leaving me rather emotional for the start of my presentation. On Friday morning, I spoke to E Cape History teaches at SAC, before driving back to PE airport for the flight to Durban. Friday afternoon traffic was challenging as I tried to make good time home. Once home, we loaded the other vehicle, and set off for a weekend’s fly-fishing in the Kamberg. My soul has always swum in the Kamberg area, where I spent so many very happy times growing up. After Cape Town and the Eastern Cape with their present drought situations, driving through rolling green hills, irrigated rye grass pastures and full dams in rain was just incredible. Partly why we moved back to the Midlands in 2011, and Friday reminded me (there was never any doubt) just why I love this region as I do. The farm we stayed on milks 800 Fresian cows. Watching these beautiful, gentle, obliging creatures with their big brown eyes calmly walking to and from the parlour twice a day to provide us with their top-quality milk made me very happy indeed. The fishing was sublime, most released back to their watery world. On Saturday afternoon, we were caught in a Berg thunderstorm. It was very difficult paddling our kickboats back to the vehicle, in strong winds with lightning all about the dam. Sopping wet we loaded our equipment, some forgotten in our haste, and drove back to the cottage. I wondered when I felt more alive and blessed. On Sunday morning, we returned to that dam, found our forgotten equipment, including my flippers, and had a marvellous session of fishing. Oh yes, the contrasts of our land, still a special place to call home. As someone who loves this land with all my being, is it too much to hope that the overwhelming majority of South Africans are interested in a legacy very different to that of Zuma and his cronies?